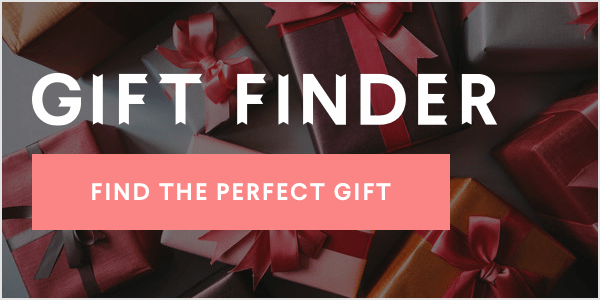 What happens when two social media PR professionals have a customer service debate on social media? Magic happens, that's what. 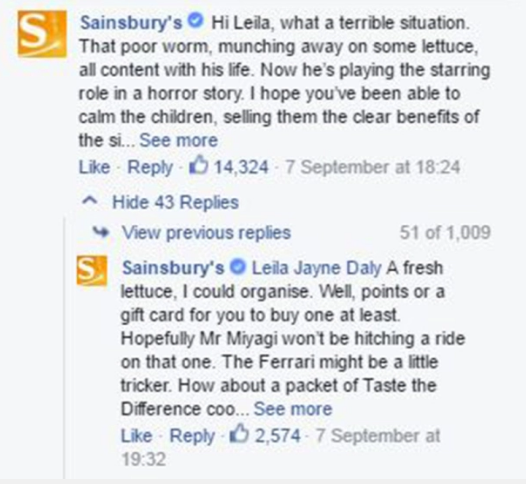 Leila Jayne Daly posted to Sainsbury's grocery store, "It is with a sad heart that I write to inform you that your salad made me fat." The reason -- well, she found a worm in her salad and was forced to eat a burger instead. 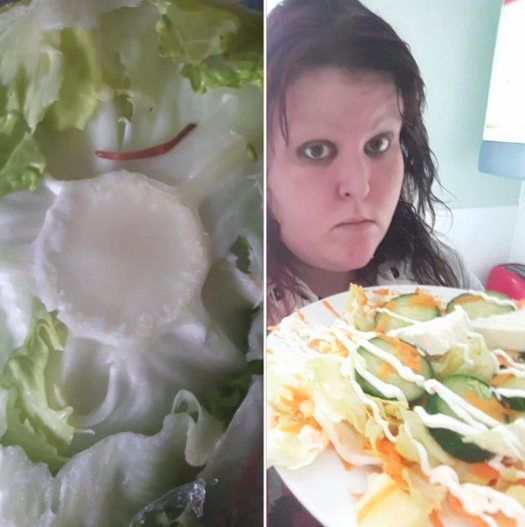 She claims that burger made her "instantly" gain 12 stone, so naturally it was all the fault of the worm salad. Ross from Sainsbury's responded feeling sad for the worm, but also amazed at the burger. He wrote, "A 12 stone weight gain from a burger, that's quite the achievement. Not at all your standard burger. It sounds amazing." Ultimately, Daly decided to name the worm Jackie Chan -- he's reportedly a household pet who loves to watch Netflix. 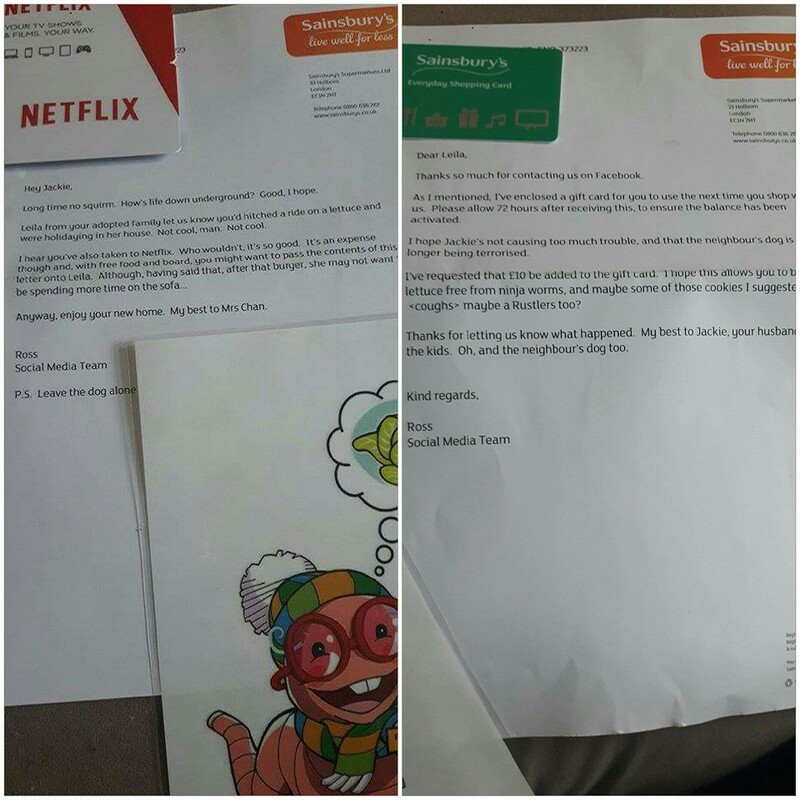 Now that Jackie and Leila are a family, Sainsbury's needed to make it right with both of them, so it sent a Netflix gift card to Jackie and a Sainsbury's gift card to Leila.